When you have a sore throat and fever, you know it's likely strep. If you've twisted your ankle and it's difficult to put weight on it, a sprain is the first thing that comes to mind. But when it comes to dental issues, it can be difficult to know the cause of your discomfort or other symptoms. For many people, these problems can be resolved with a root canal, a therapeutic procedure that removes the inner tissues of the affected tooth and restores its form and function with a crown. While the following signs aren't definite indications that you need a root canal, Dr. Adel Mansour wants his patients at Central Florida Cosmetic & Family Dentistry serving Kissimmee and Hunters Creek, FL, to know when it's time to contact him for an evaluation. Tooth sensitivity can happen for a variety of reasons, but if you're repeatedly experiencing a painful tingling sensation that radiates from one of your teeth, a root canal from your Hunters Creek dentist may be necessary. 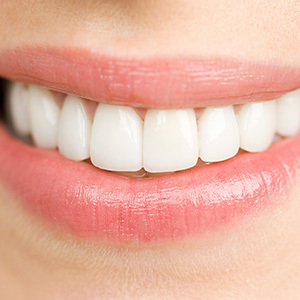 That's because sensitivity can indicate that decay has reached the dentin, which is located underneath the hard, protective outer coating of the tooth known as the enamel. If you have ongoing tooth sensitivity, particularly when you eat or drink hot or cold things, don't delay in scheduling an appointment with Dr. Mansour. Unless a toothache resolves within a day or so, it can be a good indication that it's time to see your Hunters Creek and Kissimmee dentist right away. This is especially true if you have pain while biting down. Cracks or breakage on a tooth can cause this pain, but a root canal can fully restore your tooth and resolve your discomfort. 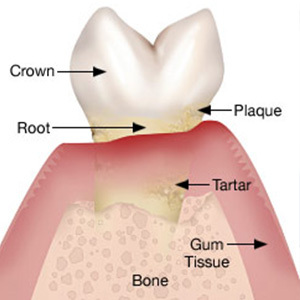 The natural response of your immune system is to rid the body of infection, so if your tooth's inner tissues have been affected by decay, you may develop swelling and pain on the gum tissue that surrounds the tooth. You may also have a bump, similar to a pimple or boil, that develops on the gums. This is called an abscess, and it's a clear sign that you need to call Central Florida Cosmetic & Family Dentistry immediately. If you've been experiencing any of the above signs, please don't hesitate to call Central Florida Cosmetic & Family Dentistry serving Kissimmee and Hunters Creek, Florida. Dr. Adel Mansour will evaluate your condition and make the proper recommendations.